When it comes to covers, there are certain ‘go-to’ bands that musicians pick their songs from. Bands like Led Zeppelin, Queen, Aerosmith, you know, the usual. There ARE certain bands that musicians just won’t touch. One of them being Iron Maiden. Now, that’s not because their music is bad – it’s amazing, it’s just that it can be so extreme and difficult. Iron Maiden are iconic for their hand-cramping/voice cracking musical style and even at their current ages, they are knocking it out of the park left and right each night in front of millions of people. But going back to covers, if you were to go online and search for Iron Maiden covers, you’ll find that there are still thousands of videos. Some of those covers are good, and some not so much, but the one we’ve found here it truly amazing! 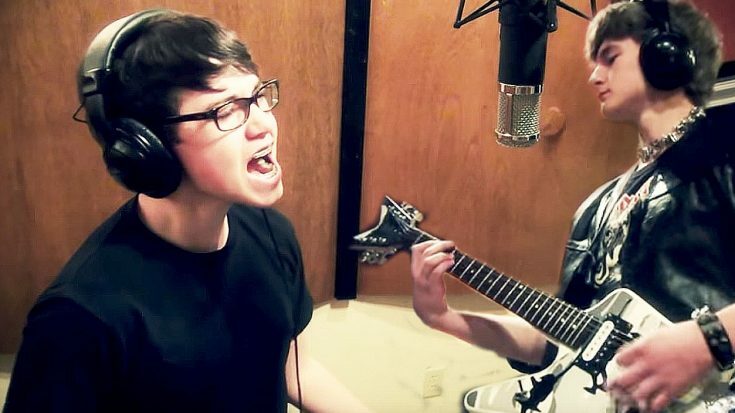 What you’re about to watch is a video in which a group of kids band together to perform a cover of Iron Maiden’s iconic smash hit Number Of The Beast. To put it simply, these kids nail it!